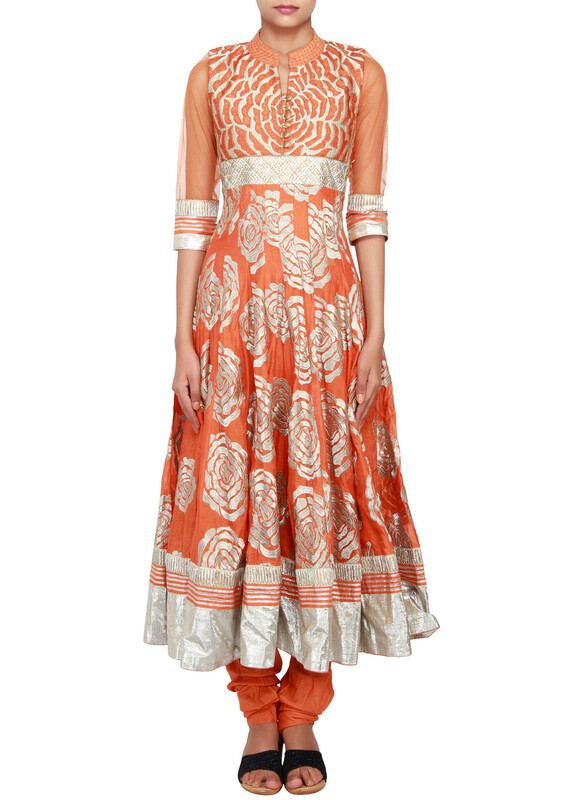 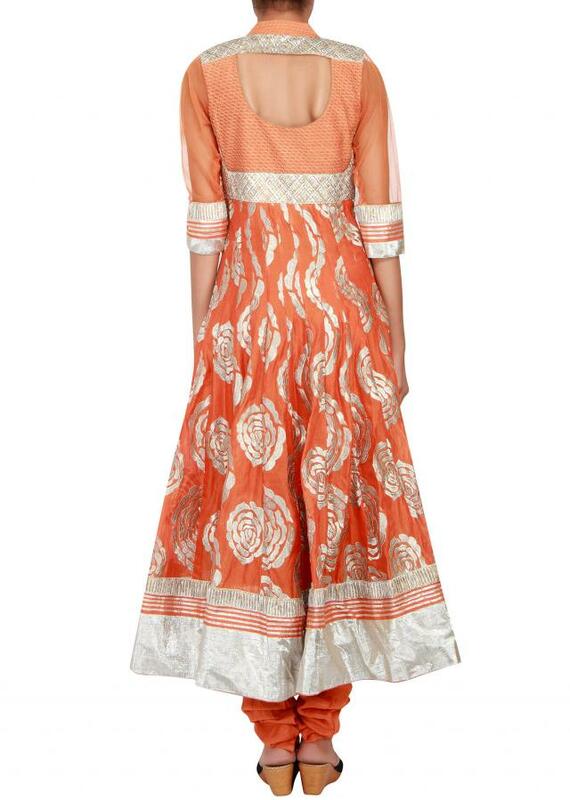 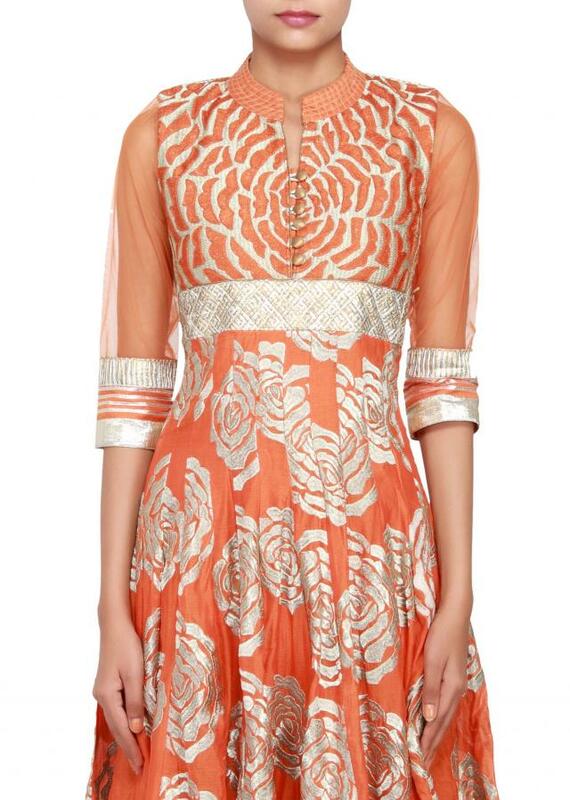 Featuring orange cotton silk anarkali embellished in zari and thread work all over. 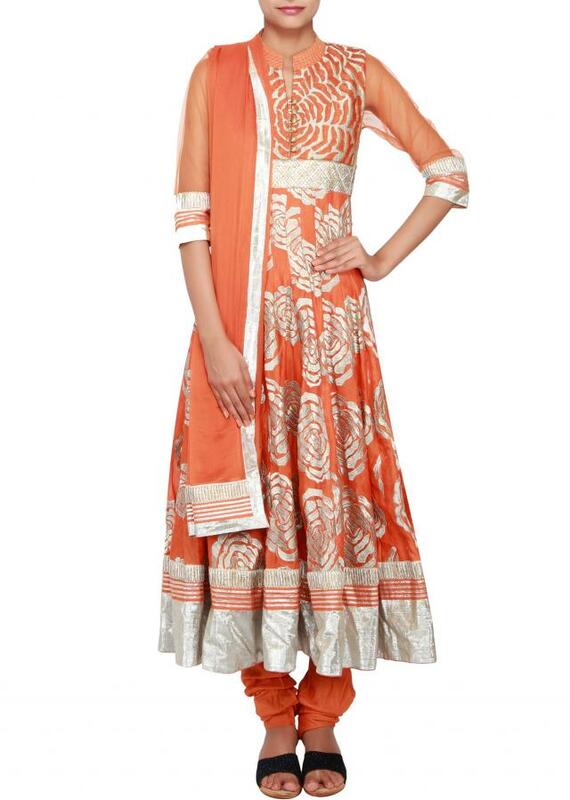 It has orange net elbow sleeves with cuff detail and fancy neckline with button details. 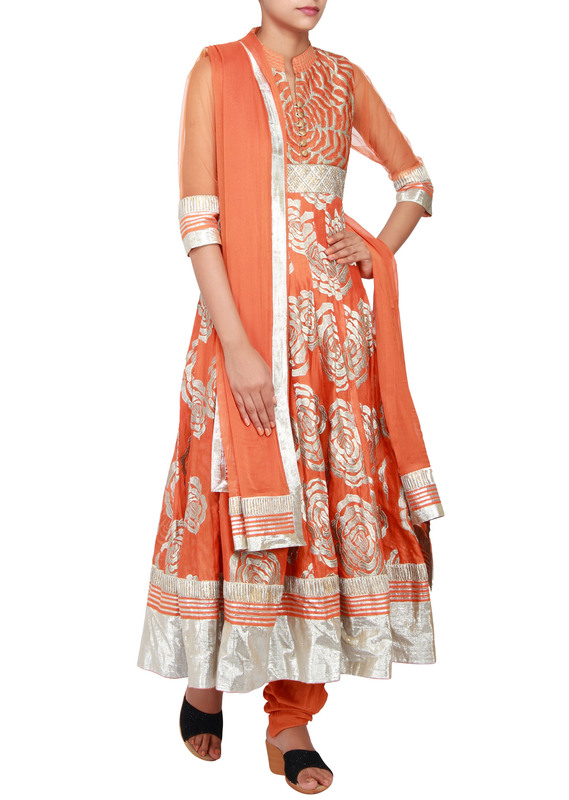 It comes with matching silk churidar and chiffon dupatta.